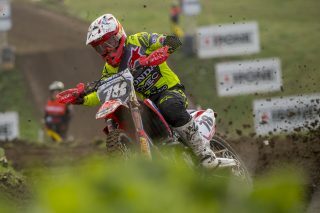 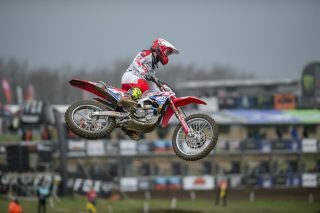 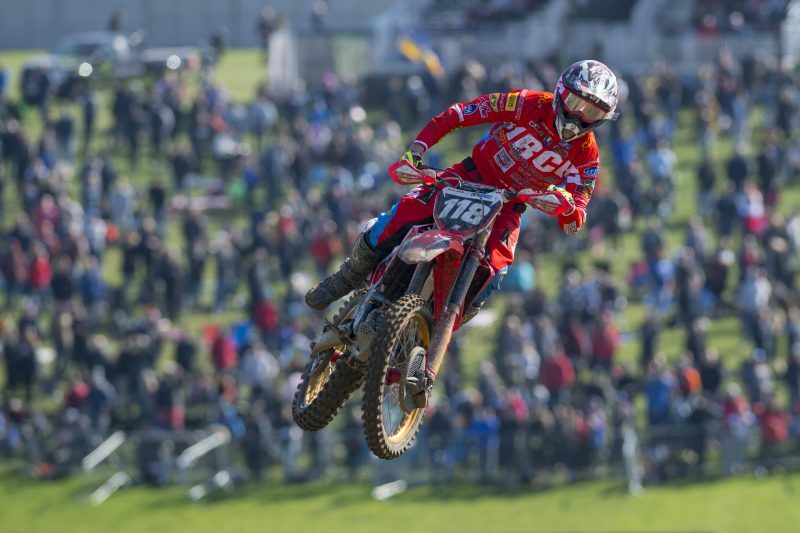 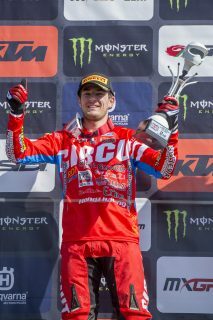 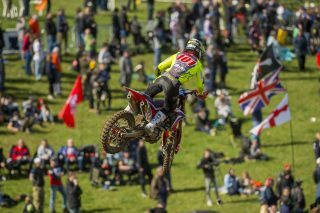 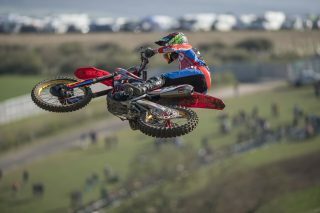 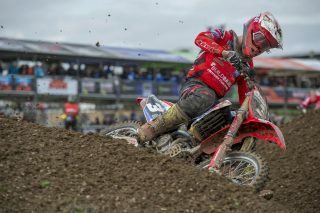 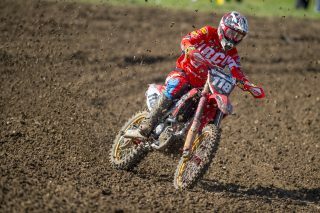 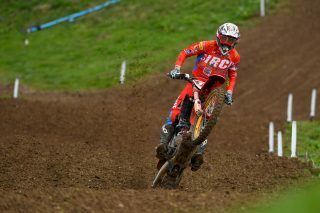 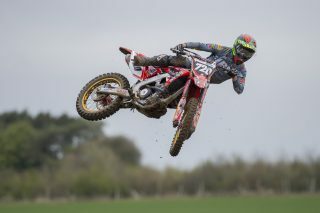 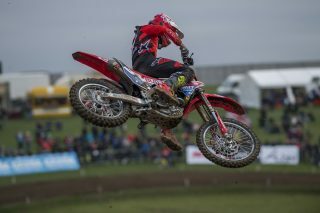 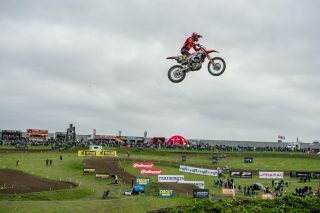 As defending EMX250 manufacturer and rider champions, Honda made a strong start to their 2019 campaign with Honda Redmoto Assomotor duo Stephen Rubini and Pierre Goupillon finishing second and fourth at the first round of the championship at the MXGP of Great Britain. 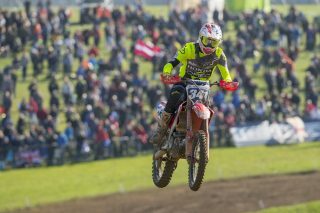 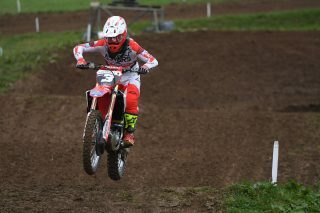 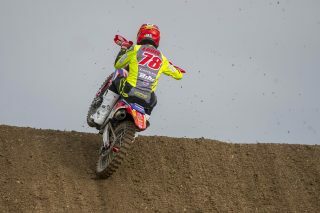 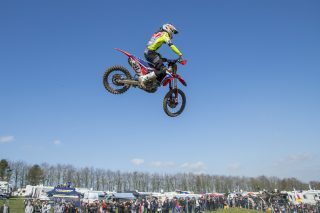 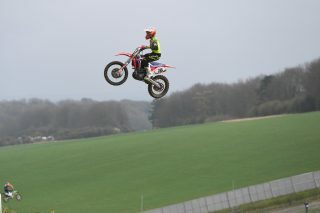 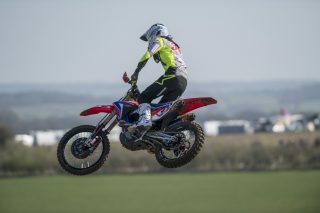 With reigning champion Mathys Boisrame stepping up to the MX2 class this year, it was down to the new recruits to step up to the plate and that’s exactly what they did at this excellent Matterley Basin facility. 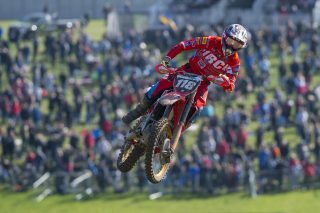 Rubini’s three-five finishes, alongside Goupillon’s five-four results meant that there was always a strong Honda CRF250R presence inside the top five in both motos, and combined with Buildbase Honda Racing’s Josh Gilbert, who went nine-ten at his home GP, it was a good weekend of results for this strong contingent of Honda riders. Team Honda 114 Motosports’ Chihiro Notsuka also scored decent points in his first EMX250 outing, while teammate Axel Louis only just missed out on qualification as he stepped up into this competitive European class after winning the 85cc French championship. 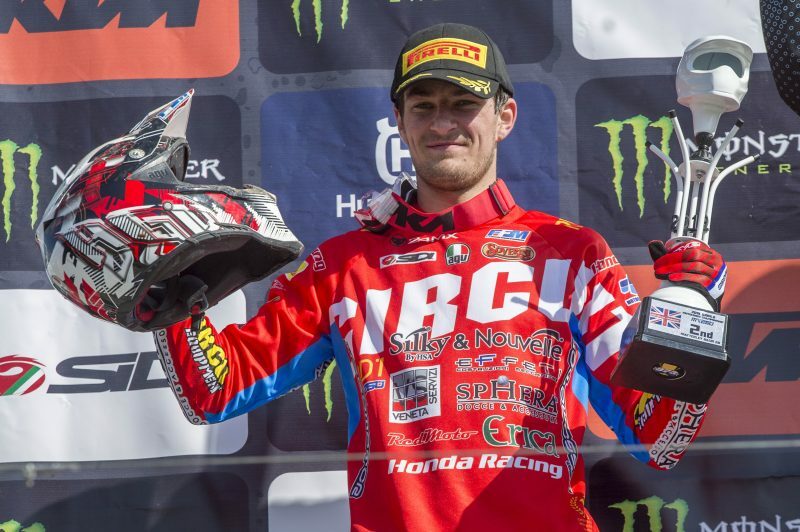 The series now has one weekend off, before resuming at the beautiful Arco di Trento track in Italy on April 6-7.